It’s nice when someone provides you with the simple formula for success. And if you just follow their proven steps you’ll reach all of your goals without even breaking a sweat. I don’t believe in foolproof plans, the 4-hour workweek, 8-minute abs or any “it’s so easy, even an aardvark can do it!” approach. There’s no cutting corners when it comes to consistent work. But there are things you can do to speed along success or at least ensure you’re not standing in the way of it. 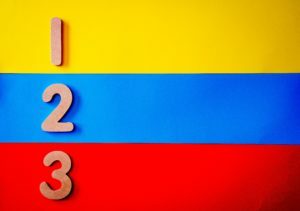 A simple three steps to Success! In my 20+ years in the corporate world putting stories on the air, I listened to any number of stories from women who felt marginalized, overlooked or otherwise thwarted in their ambition to ascend the leadership ladder. It’s enough to make someone want to Lay Down the Ladder and climb instead for something else. And I’d put myself in that category. Sometimes I couldn’t get out of my own way. Sometimes I wasn’t sure of the way. Sometimes someone else’s way seemed better or easier but entirely not like… me. And I wanted to be authentic in my ambition. I’m sharing some of what I’ve learned about the importance of knowing what you want, what you need to get it and why you need to keep track of your progress with these three steps. And because I like alliteration, each of these steps begins with the letter A. What is it you truly want? Where will your Ambition lead you? So many of us start our careers thinking success Appears one way and then never Adjusting the course to say, does this still Appeal to me? Start by Asking the question – what do I Aspire to do, feel, impact and Accomplish in my career? Who do I Aspire to be? Whom do I Admire? Rest Assured, the time spent Analyzing your wants and needs in this step provides an Advantage down the road for when you Add steps 2 and 3. Have you heard that women don’t Ask? Ad out for us. She who doesn’t Ask, doesn’t get. Once you determine your Aspirations, make sure you’re Asking for what you know you want and believe you deserve, whether it’s an opportunity, promotion, work arrangement, etc. Your company won’t Allocate unless you Advocate for yourself. But there’s an Appropriate way to do it so as not to Alienate your Audience. It’s Accompanying your Ask with your Achievements. 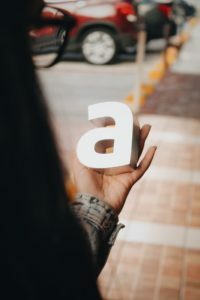 That’s your demonstration of how you have Added value for your company (why you’re deserving of your Ask) and how you can Add even more value with the Allowance of your Ask. It’s the Create Value > Claim Value > Create Value model that is Advantageous to All. Many of us are focused on Achieving that we fail to Acknowledge All that we are Accomplishing. So here’s your Assignment: plan on Assessing at least twice Annually, and Always in Advance of that Anxiety-provoking performance review. Align your Assessment with company goals. Acknowledge shortcomings. Adapt and Augment as necessary. Applaud yourself regularly. What left to add to this 3-step plan? Time to put it into Action. Today’s lesson brought to you by the letter A. For you though, my Affable, Ageless and Awesome Audience, I’m Adjusting it to an A+. Valerie Gordon is a content creator, communication strategist and founder of Commander-in-She. She uses her experience putting stories on TV for 20+ years as the foundation to teach women how to call upon the power of storytelling for greater success and satisfaction at work. Email her for information about her conference breakouts and corporate workshops.